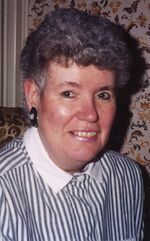 June Martene Obituary - Seaforth, Ontario | McGlynn Family Funeral Home Ltd.
"You will be missed ❤"
Peacefully, at Huronview Home For the Aged, Clinton, June Marilyn Martene, passed away on Sunday, April 29, 2018. In her 84 years among us, as a wife, mother, grandmother, great grandmother and registered nurse, June was a source of caring and kindness within our lives, and in our community. 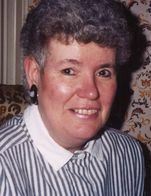 June will be lovingly remembered by her husband Gerald and their children, Judy, Joseph, Pete (Tammy), Kari, and Steve. Fond memories of a very special grandma remain with June’s 12 grandchildren and 7 great grandchildren and with Gerald’s four sisters and their families. June will also be sadly missed by her four legged companions Serena and Cabella. In faith, we trust that June’s spirit now joins the company of her parents Arthur and Daisy (née Putman) Baldwin and sisters Jackie (Ken) Pearson and Evelyn (Doug) Whiting. Visitation will take place at McGlynn Family Funeral Home (519-527-1390), 87 Goderich Street West, Seaforth on Monday, May 7 from 7-9 p.m. and again on Tuesday, May 8 from 1-1:45 p.m. A service to honour and celebrate June’s life will follow at 2 p.m.